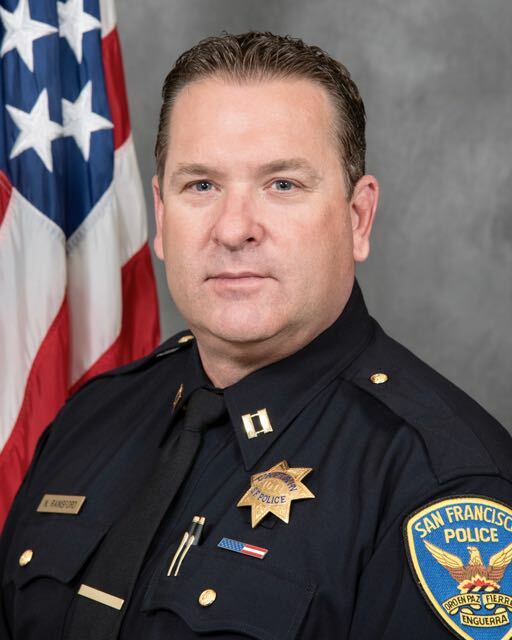 The Taraval Police District encompasses a large area of the western part of San Francisco, extending from the West of Twin Peaks to the Pacific Ocean and south to the County line, and north to Lincoln Way. Largely residential, the Taraval district contains many schools, private and public, San Francisco State University, and the San Francisco Zoo. It features shopping areas like Irving, Judah, Noriega, Taraval West Portal, as well as Stonestown. Keeping the Romanesque-style brick exterior, the building was completely overhauled in 1996 through a 1987 bond issue. Like the other nine district stations, Taraval includes a community meeting room. Neighborhoods in the Taraval District include the Inner Sunset, Outer Sunset, Parkside, Golden Gate Heights, Balboa Terrace, Ingleside Terrace, Monterey Heights, St. Francis Wood, Ingleside, Oceanview, West Portal, Lakeshore Acres, Country Club, Merced Manor, Park Merced, Edgehill, Laguna Honda, Lakeside, Merced Extension, Mount Davidson Manor and Sunset Heights. Please contact Taraval Station regarding day, time, and location for the next Community Meeting or follow us on Twitter (@SFPDTaraval). Community Updates are an information newsletter to inform the Taraval residents of incidents occurring in the district.